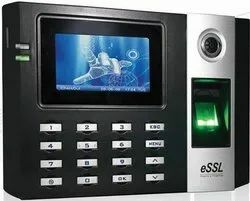 Manufacturer of a wide range of products which include k20 time attendance system and access control system, e9c biometric attendance machine, biometric fingerprint system, fingerprint time attendance system, time attendance system and biometric attendance machine. Backed by consistent efforts of our dexterous workforce, we are offering a broad array of K20 Time Attendance System and Access Control System that has an inbuilt battery backup. This attendance system is used in corporate and industries to record and monitor the exit and entry time of the employees. Our offered attendance system is designed using excellent grade and contemporary techniques keeping pace with current market standards. Also, our vendor’s quality controllers check this attendance system in order to ensure a defect-free production delivers at client's end. The prices given are indicative price and can differ depending upon the features and requirements. 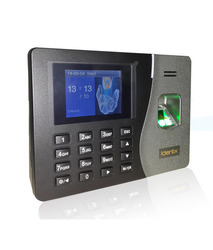 We are reputed enterprises in this industry, offering a wide gamut of E9C Biometric Attendance Machine. 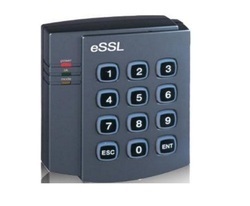 This product finds application in offices and for security systems. This range is made available in various technical specifications to suit variegated demands of clients. Offered product is are designed using optimum grade basic material and sophisticated technology in synchronization with industry standards. In addition to this, this product is examined under the inspection of quality controllers before delivery to ensure the premium quality. Our firm is counted amongst the significant names, offering a wide range of excellent quality Biometric Fingerprint System. The 2.8 inch TFT can display more information vividly, including fingerprint image quality and verification including fingerprint image quality and verification result etc. 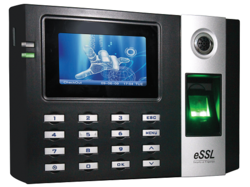 It is an innovative biometric fingerprint reader for Time & Attendance applications. This system is made available in various configurations according to specifications of our clients that can be customized in various options. After procurement, our offered products are examined under the supervision of quality controllers with set industrial standards. 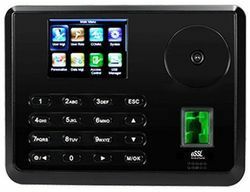 Our company is highly esteemed in offering Fingerprint Time Attendance System to the clients. 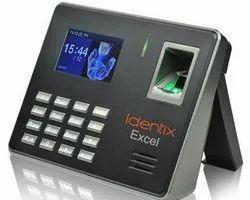 Fingerprint Time Attendance System is designed by using premium grade components and advanced techniques under the visionary guidance of trained professionals at vendor’s end. This product is checked on different stages of quality stages before being supplied to valuable clients. The offered range is available in diverse technical specifications as per the need of clients. Our reputed company is engaged in offering a wide range of Time Attendance System. Offered attendance system is highly demanded in the market due to its accurate recording to attendance of employees. 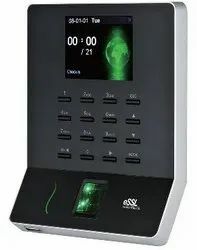 This attendance system is designed with the help of finest material and advance techniques in adherence to set industrial norms. Furthermore, attendance system offered by us can also be availed in various customized options. We are one of the trustworthy and renowned organizations, involved in offering a wide gamut of Attendance Machine to our clients with the help our vendors. Our in-depth knowledge and industrial expertise enable us to trade and supply a distinguished range of Attendance Recorder. Our organization is well known in the industry, engaged for offering a broad range of Attendance Recording System to our prestigious clients at reasonable prices. We are the leading organization in the industry to provide our clients the best quality range of Fingerprint Identification Systems. The offered attendance system is use for registering the attendance of employees & data is captured by the machine along with a date & time stamp. Our vendor’s workforce manufactures this attendance system by using the finest quality raw material. This attendance system is quality checked by vendor’s quality controllers on numerous parameters set by the industry. 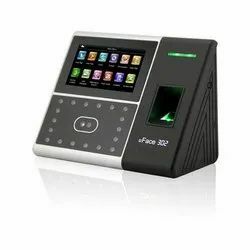 Being a consistent business organization of this highly competitive market, we are massively enchanted in providing to our customers an extensive collection of Biometric System. These are available with us in an assortment of specifications. Along with this, these could be changed to meet with the meticulous requirements of our patrons. 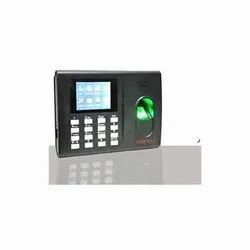 Enriched by our vast industrial experience in this business, we are involved in offering an enormous quality range of Card Based Time Attendance System.